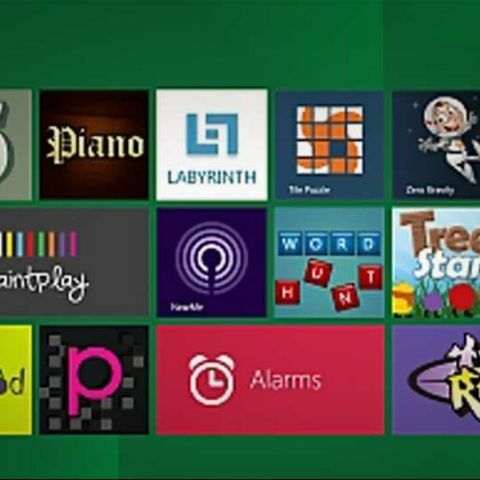 Microsoft was recently in trouble for using “Metro UI” for its tablet and smartphone interface. The Metro UI name, that originally began as a codename, stuck on in the final version of Microsoft’s mobile OS, Windows Phone 7 and translated to their new desktop OS, Windows 8. Recently, we reported that Microsoft would be changing the “Metro UI” name but the new and final name wasn't clear. For some time we thought it would be replaced with Windows 8, leading to Windows 8 UI, or Windows 8 apps, etc. Lately, however, Microsoft representatives have started calling the new OS UI as the “Modern UI Style”. As reported by The Verge, employees are calling referencing the new name in blog posts and training courses, with examples like - Modern UI design language and principles, Modern UI Style apps, and Modern UI Style UI (this last indicates it might be a rushed copy-paste job). Check out one blog post example, here. It is still unclear whether this will be the final name, or if Modern UI is another placeholder till Microsoft decides on another one. The change in name from Metro UI started when Microsoft started facing copyright infringement issues. During the development of the Windows 8 operating system, Microsoft used a variety of names like immersive, modern, fast, and fluid to describe its new desktop operating system. But the most common name that the company used and the one which stuck was the “Metro-style”. The launch of the new OS is just around the corner and we are wondering whether this is the final name of the OS or will we see some more tweaks and changes as far as the naming game is concerned. Windows 8 is expected to launch on October 26. You can read everything about Windows 8 here. What do you think? Is the change in the name of the UI, apps and interface really that big a deal? Let us know in the comment section below. where to get detailed comparison (neutral & unbiased) between various UI\'s of android OS. Which is the best mobile of 2014 in UI and performance ?